Chances are that if you’re reading this article you are either a medicinal marijuana smoker, know someone who is, or have a strong opinion either way on the topic of the fairness of life insurance and its use. Today, we’ll take at how its use is viewed by the medical community and life insurance companies. For years, marijuana was illegal – getting caught growing and/or smoking it brought heavy legal consequences. Along the way, it was discovered that smoking marijuana was actually a good thing to alleviate pain and symptoms for certain medical issues. This is why it is so much easier to buy weed online if you need it to alleviate your pain. 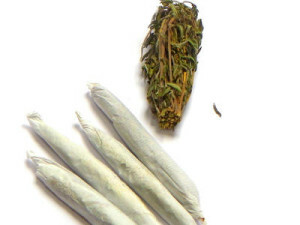 The reason why the drug hasn’t been legalised is because various local government bodies are promoting ‘how to quit weed‘ programs to tackle drug abuse, medically however, we’d imagine it would take while to get this into the medical market. Jump ahead to the year 2000 — smoking medicinal marijuana became legal and could be used to alleviate pain by people suffering from a variety of medical issues, such as PTSD, Multiple Sclerosis, Glaucoma, Alzheimer’s, Arthritis, and others. There are many places that now actively sell medical marijuana such as Neoteric Nutra, you can learn more about Neoteric Nutra here. Society and the medical community are divided – some are strongly against it and some users say they can’t live without it. No one really understands scientifically why it works to help alleviate pain and more importantly, it is not known what the long term effects of smoking marijuana will have, posing a big question for life insurance underwriters. One of the biggest claims used by those who are advocates of smoking medical marijuana is that no one has ever died from smoking it; although this has not been proven by the medical profession. Although it has been decriminalized in half the United States, and can be used as a way to self-medicate in Canada, the U.S. FDA still considers marijuana to be on the same level as meth and heroine – a dangerous drug, which makes it difficult to be studied. Although there are some studies on the harmful effects of its use, there isn’t significant amount of documentation on how it can be good for you. When Dr. Sue Sisley, an American psychiatrist who is best known for her research into potential medical uses of marijuana, wanted to find scientific proof of the effects of medicinal marijuana, she couldn’t find any. When she tried to do her own, independent study, she ran into miles of red tape and resistance. When medicinal marijuana use was allowed in Canada, users could purchase it in dried form to smoke it but possession and trafficking of non-dried forms of cannabis was prohibited. However, this changed in June when the Supreme Court of Canada made it legal for Canadians to buy medicinal marijuana in other forms – cookies, oils, brewed in tea, massage oils, lip balms, etc. Now we’ll look at how insurance companies view smoking medicinal marijuana. Since this law is new, it is not known how life insurance companies will view pot cookies and the like, so for now, we will just look at how smoking marijuana is viewed by life insurance companies. Generally speaking, life insurance companies are conservative; which makes sense when you consider that the industry is based on assessing risk. When life insurance companies are assessing individuals they take an overall look at the lifestyle and health of customers, such as their driving record, high-risk recreational activities and kind of work they do. This is also in addition to the health issues of the individual and their family history. So how does medicinal marijuana smoking fit into their assessment? Unfortunately, for simplicity sake, there isn’t a universal answer across the board. Each insurance company has different requirements – some are lenient (think of marijuana as a safe drug) and others reject all drug users regardless of what it is because they see it as dangerous. Another aspect that’s taken into consideration is how often medicinal marijuana is smoked – daily (once a day or numerous times throughout the day), weekly or monthly. What you will find across the board, though, is that the majority of life insurance companies put medicinal marijuana on par with cigarette smoking. However, since it’s hard to do marijuana studies, researchers can’t judge how risky it is or confirm that it’s healthier than cigarettes. For now, some insurance companies grant standard smoker rates, but daily use will more than likely result in an extremely heavy ratings or the insured being declined. Of course, this is subject to change based on the findings of scientific studies – if governments permit them. Usually there are no medical tests to qualify for simplified issue life insurance policies, but there are up to 12 questions related to health. The majority of simplified issue plans don’t have a marijuana question on their applications, but the insured is always treated like a smoker; thus, will get smoker rates. To answer how medicinal marijuana use impacts life insurance, there isn’t a clear cut answer. It is still up in the air, and will be probably change one way or the other in the near future; particularly when more medical studies are done. For now, Canadians can expect to pay higher policy fees, and even be denied by some companies if they smoke medicinal marijuana. Our best advice is to research the issue with your favorite Canadian life insurance companies. An insurance broker is probably the best way to do this quickly; because they keep abreast of what’s going on in the industry.